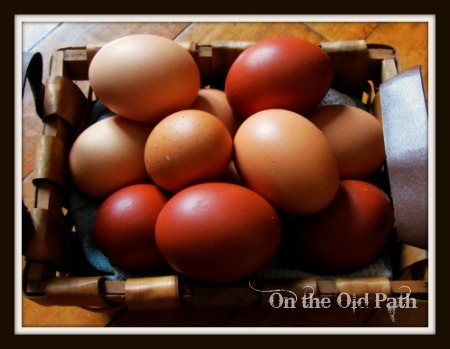 Eggs, we are so loving having our own eggs, our family loves them and we would go through 3-4 dozen a week easily it is so nice to not have to buy them anymore. We have had our challenges with our chickens mainly too many roosters. 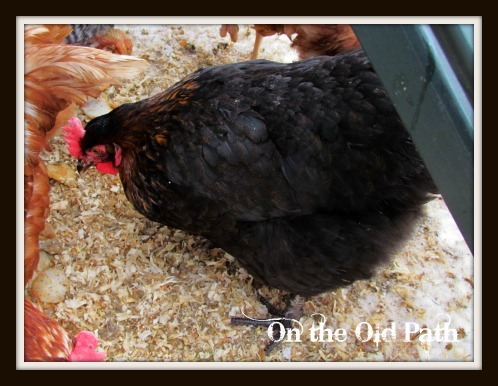 Our first 3 chickens were 9 week old barred rock chickens they said they were pretty sure that they were all hens as none of them were showing any signs of rooster behaviour… sure enough they were all roosters. We finally gave up on ckicks and bought 5 laying hens. We knew that having roosters together was not a good idea but as we went into the winter they were just starting to show their roosterness (I made that word up.) Our fear was if we got rid of all the roosters the few hens would freeze we needed their body heat. There really wasn’t enough room in the other coop for all of the hens. 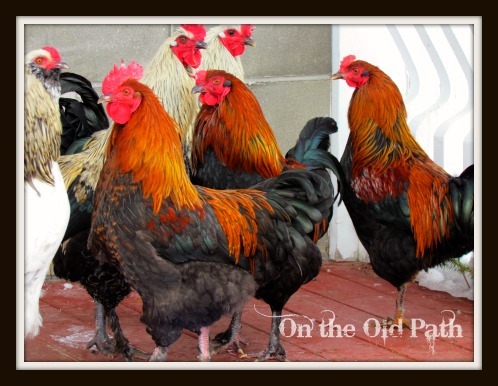 Until just a couple of weeks ago all our roosters were getting along roaming the property. Two of them started fighting and it got rather nasty so we broke up the fight and now one is living in a dog kennel in our summer kitchen. I realize we could kill them all and have chicken dinner but they are all rare breed roosters and they are lovely looking. We are hoping to find new homes for most of them. Of the 3 hens one is a bantam polish cross and is really more of a pet to the kids. The two other hens have started laying one we believe is a mix of two rare breeds and she lays a smallish brown speckled egg. 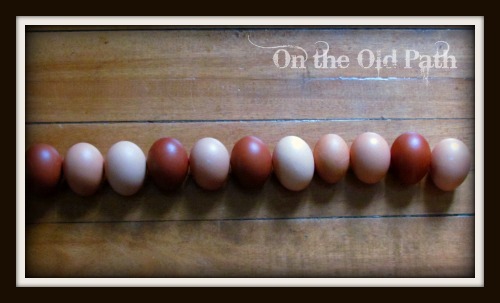 The last one is a black copper maran and she lays the beautiful chocolate coloured eggs. We have 3 black copper maran roosters so we have decided to keep one and breed the 2 black copper marans. We also believe out of all those chicks we have one Americauna rooster so we are going to keep him to breed with our poor black copper maran to see if we can get some olive eggers. We are wanting to raise some meat birds too, the black copper maran are supposed to be a good dual purpose bird, anyone have experience with them as a meat bird? I know they take longer to reach their desired weight than something that has been ‘engineered’ to put weight on fast but we were hoping to work with birds that aren’t going to break a leg from putting weight on so fast. I have heard good things about Freedom Rangers for meat birds but have not found anyone in Canada carrying them. 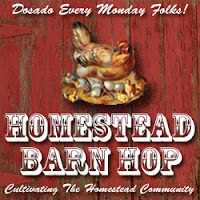 I’d love to hear meat bird suggestions.